Concrete pumps are commonly used on construction sites to place concrete in specific areas. The pumps can be used to put concrete in a precise place when creating walkways, overpasses and even buildings. There are two main types of concrete pumping machines, both being used on the work site to streamline the process of working with concrete. 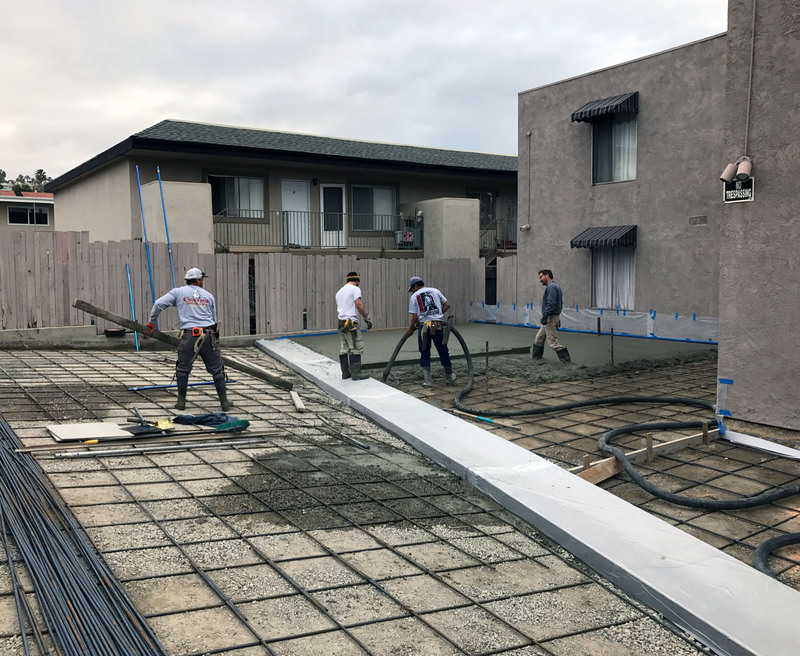 Using our concrete pumping service in Orange County means that your concrete project can be finished quickly! The concrete pump eliminates having to move the concrete by hand. In the past, construction workers would carry heavy loads of concrete in a wheelbarrow and shovel the mixture to the area that was being created. With a concrete boom pump, the concrete is mixed and placed inside the machinery and then pumped out of a robot arm. The amount of time the concrete pump can save on a construction site or home project is amazing. By using the pump, work time can be cut drastically! Whenever you are considering a concrete project, be sure to speak with a contractor who can provide quality concrete pumping services. You will find that this service option will speed along your project and allow you to quickly enjoy a new area for your home or business.